The entire article, including the headline, contain words like disabled or disabled people. The more appropriate term is people with disabilities. It is only respectful to refer to people with disabilities as individuals first. SG Enable says: People with disabilities are individuals first. Their disabling condition or conditions are only one part of who they are. So as far as possible, refer to the person first, then the disability. The visit is part of a Minds push to get its students and beneficiaries – from Minds homes, and employment and training centres – to contribute to society, and also to integrate and socialise with able-bodied volunteers through school or corporate pairings. The visit is part of a Minds push to get its students and beneficiaries – from Minds homes, and employment and training centres – to contribute to society, and also to integrate and socialise with volunteers without disabilities through school or corporate pairings. The opposite of “people with disabilities” is not “able-bodied” or “abled”. These terms suggest that people with disabilities are not “able”. The entire article uses terms such as deaf and blind people, able-bodied friends, and visually handicapped. The more appropriate terms are people with a visual disability, people who are deaf or hard of hearing, friends without disabilities, and people with a visual disability. As above, please use people-first language to refer to people with disabilities respectfully and appropriately, and avoid using terms like “able-bodied” to refer to people who do not have a disability. The term “handicapped” is also an outdated or offensive term because it implies that persons with disabilities have an imposed disadvantage. The entire article, including the headline, is peppered by words such as the disabled, able-bodied, disabled drivers, disabled passengers. The more appropriate terms are people with disabilities, people without disabilities, drivers with disabilities and passengers with disabilities. Again, people with disabilities are individuals first. So please refer to them as such. She underwent a six-hour operation to prevent the condition from making her wheelchair-bound. She underwent a six-hour operation to prevent the condition from making her non-ambulant. This error has appeared in examples in previous columns so far, and has been explained too. Avoid terms such as “wheelchair-bound” or “confined to a wheelchair”. Rather, say that a person “uses a wheelchair” or a “wheelchair user”. But since the article is describing how a model underwent an operation to treat her severe spinal disorder so that she can continue to walk, the term “non-ambulant” would be more appropriate. Has America already had a female president? As well as tending to her wheelchair-bound husband and campaigning on his behalf, Eleanor also pursued her own interests. As well as tending to her wheelchair-user husband and campaigning on his behalf, Eleanor also pursued her own interests. DPA emailed the editors at BCC News regarding this article and received a reply from them stating that their writers follow a set of guidelines dealing specifically with how to respectfully address persons with disabilities. While it is puzzling how those terms make it through the editing process, DPA was glad that the editors have admitted their mistake, sharing with us their house style and amending the article. When I first saw the movie poster for Mad Max: Fury Road in May, I didn’t have high hopes for the show. I thought it was just going to be another stereotypical movie about a disabled superhero saving the day. I could not be more wrong. Fury Road is one of the best action movies I’ve ever seen! There are many characters with disabilities in this movie including the female protagonist, the main antagonist, the antagonist’s sons, just to name a few. But my favorite character is the female protagonist called Imperator Furiosa. Furiosa has a physical disability, a left arm defect to be more precise. She wears a steampunk-looking prosthetic (one that actually looks realistic and usable by amputees) to help her perform her daily tasks. Yet you barely notice her disability. Whether she’s driving a huge truck, reloading her gun or shooting enemies, her prosthetic arm is presented as a natural extension of her body. It’s there, we can see it. And it’s no big deal. Her disability is also never a plot device. There is no tragic backstory regarding her disability, and her character is not used to inspire or motivate audience. In fact, her disability is never explained. We do not even know how or when she acquired her disability. The movie doesn’t want us to focus on her disability. They treat her disability as just another kind of difference – something I find really refreshing. There is one particular scene that epitomises everything I love about the movie and the effortless manner it portrays disability. I have shared the movie clip from youtube below. In this scene, Furiosa and her ally, Max, are fighting off their enemies who are attacking their ride. Furiosa reloads her shotgun and shoots at her enemies. When their ride catches fire, Furiosa quickly lowers the plow at the front of the truck which digs up sand, extinguishing the flames. When Furiosa noticed that more enemies are pursuing them, she opens the flap at the top of the truck and positions herself there to have a better shooting range. Max reloads her shotgun and passes it back to Furiosa who then proceeds to attack her enemies again. These film sequences are done beautifully and realistically. Her prosthetic arm does not transform into a weapon – as you would expect from a disabled hero in action movies. It is simply portrayed as an assistive device that enables her to do things. And her allies like Max do not see her as a liability or feel sorry for her physical disability. They treat her as an equal. I have watched many great action movies but this one takes the cake. I doubt the filmmakers ever read the UN Convention on the Rights of Persons with Disabilities or even know about the social model of disability. But they’ve inadvertently done a great job in showing others how to have a more accurate representation of persons with disabilities. Take care not to diverge from the subject of the original post. It’s fine to disagree with someone, but don’t make personal attacks. It’s never appropriate to use insults or other offensive language either. Respectful disagreement entails the capacity to listen, discern and leave a constructive criticism. In this way, everyone can enjoy a peaceful and positive discussion. This relates to point 2 above. Please avoid calling names or making accusations when leaving a comment. It makes both the community and blogger uncomfortable, and does not add value to the conversation. Comments are just that, comments. Don’t use the comment box as a platform to pontificate – use it to be a useful, contributing commentator. Moreover, the more concise your comment, the easier it will be for others to read and respond to. Do not leave random links in your comments unless it’s relevant to the topic. Also, be sure to explain how the links relate to the original post. Any comment found to be in violation of this guideline will be deleted. We’re now into Round Five of DPA’s public education initiative on proper terminology to describe persons with disabilities. President Tony Tan and Mrs Mary Tan distributing red packets to patients during the Home Nursing Foundation’s SG50 jubilee dinner yesterday. More than 300 wheelchair- bound and semi-ambulant patients and caregivers attended the event. President Tony Tan and Mrs Mary Tan distributing red packets to patients during the Home Nursing Foundation’s SG50 jubilee dinner yesterday. More than 300 wheelchair users and semi-ambulant patients and caregivers attended the event. This has been mentioned several times. A person who uses a wheelchair is not actually confined to their chair. Instead, the chair is a tool that they use to have more independence. In that way, the wheelchair is actually a positive assistive tool and so the term ‘wheelchair user’ is a more apt term. Mr Goh, a guitar instructor, started running only in 2012 when he and his visually handicapped friends were asked to join Runninghour, an informal support group started in 2009 by Mr John See Toh, 54, and his wife Chan Jan Siang, 37, both educators. Mr Goh, a guitar instructor, started running only in 2012 when he and his friends with a visual disability were asked to join Runninghour, an informal support group started in 2009 by Mr John See Toh, 54, and his wife Chan Jan Siang, 37, both educators. Also covered before. People with disabilities are individuals first. So, refer to the person first, then the disability. The term “handicapped” is also an outdated or offensive term. Instead, say “pacers with visual impairment” or “pacers with a visual disability”. Acting on Mr Lim’s advice, she changed her business model to focus more on catering. This helps to create more jobs for her disabled beneficiaries, most of whom work in the central kitchen instead of her current outlets in Bugis+ and Jem. Acting on Mr Lim’s advice, she changed her business model to focus more on catering. This helps to create more jobs for her employees with disabilities, most of whom work in the central kitchen instead of her current outlets in Bugis+ and Jem. People first, please. Also, the term “beneficiaries” implies that her workers with disabilities are receiving some form of charitable service, which they are not. They are hired to work in the company, so they should be referred to as employees or workers. Ansel, 15, suffers from Duchenne muscular dystrophy, a condition which causes progressive weakness and loss of muscle mass. Ansel, 15, has Duchenne muscular dystrophy, a condition which causes progressive weakness and loss of muscle mass. Here are more examples of incorrect terminology: Part 1, Part 2, Part 3, and Part 4. Have you spotted any other articles with terminology issues? Let me know in the comments below! For years now, I have shied away from any films featuring characters with disabilities in the story. Movies like Forrest Gump (1994), I am Sam (2001) and Avatar (2009) all made me wrinkle my face in disgust. Disabled-hating bigot? How dare I. But in all seriousness, I have reflected deeply about this because I love movies and respect Tom Hanks and James Cameron, and also because I am disabled. On the topic of disability in movies, some disability rights activists have expressed their disapproval of the casting of able-bodied actors as characters with disabilities. Christopher Shinn, an American playwright with a prosthetic limb, is one of the most outspoken advocate of this issue. Unhappy with the under-representation of actors with disabilities, Shin argues that able-bodied actors do not understand the lived reality of disability, and that casting them as disabled characters actually undercuts the power of their works. While unmistakably righteous in its exhortation, I believe that this argument is deeply flawed for two reasons. First, it conflates performance with representation. This is a common problem, to be sure, but I don’t think the answer to the dearth of actors with disabilities is to restrict disabled roles to them. This would create a kind of acting-ghetto which should be avoided at all costs. We don’t want a situation whereby actors with disabilities are typecast in disabled roles only. Second, the call for actors with disabilities to play disabled roles implies that “disability” is some sort of monolithic group when it is, in fact, a very broad spectrum. Every persons with disabilities are unique in their own way. It’d be insanely difficult to find a person (much less an available, skilled actor) with precisely the same disability, acquired in precisely the same way, with precisely the same symptoms and behaviours. In my opinion, the point about Hollywood films is not that they cast able-bodied actors, but the way these films treat disability. Characters with disabilities are commonly written into the plot for one reason: the disability. It sounds all fine and dandy, but the problem is that filmmakers do not examine the disability in the form of its actual physical, sensory and/or intellectual condition. The disability only figures into the plot or the character development as a device that allows the narrative to unfold. In Elephant Man, for example, the main character, John Merrick was born with Proteous Syndrome that caused skin and bone growths over parts of his body. In the film, the condition is not even given a name and very little is said about it. So instead of exploring the disability, filmmakers deploy these characters to fit certain stereotypes in the story. One of the most common stereotype is the ‘victim’, a character who is presented as a helpless object of pity or sympathy. In Elephant Man, the audience is urged to pity John Merrick. Because of his physical deformity, Merrick is exhibited as a monster in a Victorian freak show, brutally treated by his “owner”, suffers from health complications, and chased by an angry mob. He also dies at the end of the film. The flip side of the victim stereotype is the hero or the inspiration, the character who proves his or her worth by overcoming his or her disability. Forrest Gump is a stellar example. By tracing the life of an intellectually disabled man performing extraordinary feats, filmmakers wanted to inspire and motivate the audience. The third stereotype is the ‘villain’. It has become less popular in recent years. But in the past, physical disabilities have been deployed to suggest evil or depravity, such as the image of pirates as having missing hands, eyes and legs. 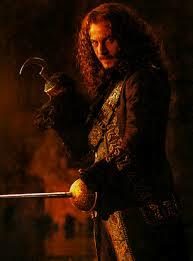 Who can ever forget Captain Hook, the pirate with a hook for a hand, in Peter Pan (2003)? Or Darth Vader, the archetypal villain with prosthetic arms and legs in the Star Wars series? Here are a few more examples of the way characters with disabilities are deployed by filmmakers. Next to each title, I’ve listed the stereotype that fits the character. You might argue that such stereotypes contain a kernel of truth. And sure enough, there are some people with disabilities who are saints and villains in real life. But these people are good (or bad) due to a combination of internal (knowledge, attitude, core values etc.) and external (family, friends, colleagues etc.) factors. Their disability could be one of the many factors, but it is definitely not THE deciding factor of their behaviour. Also, I acknowledge that there are cases where characters with disabilities have been depicted as “normal”. But these are rare. And they have often been one dimensional, are commonly not given their own storylines and tend to act as supporting roles. Considering the powerful influence media have over our lives, such stereotypes can have far-reaching consequences. The victim stereotype objectifies persons with disabilities as helpless persons deserving of pity. It implies that disability is a condition we suffer from, and that we need to provide for, care for, and protect those with disabilities. In doing so, the stereotype oppresses and even disempowers persons with disabilities. The ‘supercrip’ is no better. At first glance it may seem like a better stereotype than ‘victim’. But a positive stereotype is still a stereotype. It ignores the lived reality of most people with disabilities who struggle constantly with smaller challenges such as finding a wheelchair accessible bus and employment. It also implies that a person with disability only deserves respect if he or she can overcome the disability and perform extraordinary acts. And finally the villain stereotype dehumanises persons with disabilities. It reduces them to nefarious individuals driven to crime or revenge by resentment of their condition. Needless to say, we can really do without such negative stereotypes in a society where prejudice and discrimination against persons with disabilities still abound. Despite all its aforementioned implications, I admit there is some intangible benefit to be gained from having these characters on the big screen. The increased presence of disability in its various physical and intellectual impairments is a good way to get the public talking about disability. Any publicity is good publicity after all. Rain Man (1988) is one such example. The film is centered on an autistic savant who aids in the personal growth of his able-bodied brother. The character is depicted as a math genius who is completely inept at everything else. Not surprisingly, the movie received bad press in the autistic community for stereotyping a person with autism. But others have pointed out, quite rightly, that the film helped increase public awareness of autism. So some good does come out of bad situations. But these stereotypes can become a serious problem when it is the only thing viewers are presented with. Can you imagine having your kids watch movies with only these cookie-cutter characters? Thus to counteract these largely inaccurate representations, it is important to give the audience a dose of reality, by which I mean presenting characters with disabilities in a more realistic light. These characters could be portrayed as working and living in various situations, with wide-ranging responsibilities, and not necessarily overcoming great odds to achieve their status. They can be Moms, Dads, chefs, priests, ministers, teachers, girlfriends, boyfriends or friends. A few movies have done exactly just that. In How to Train Your Dragon, three characters, Gobber, Toothless and later Hiccup wear prosthetics. And in the X-Men series, Professor X is a wheelchair user. What is striking is that none of them are ever labelled as disabled in an obvious way; they’re just part of the crew like all the others. And Hiccup and Professor X have always been depicted as heroes who just happen to have a disability. The focus of the story, in other words, is on their characters, not their physical condition. As a person with a physical disability, I would like to watch more movies like the two mentioned above. It could be centered on a character who just happens to have a disability going about his or her everyday life, maybe fighting off a zombie or two. What do you think? Have you watched these movies before and felt the same way? Let me know in the comments! THE Disabled People’s Association agrees with Dr William Wan in asking for greater sensitivity (“Use words with care”; last Friday). Words can not only hurt but also shape mindsets and perpetuate stereotypes. We should also be aware of the downsides of using words and phrases like “brave”, “inspiration”, “extraordinary”, “overcoming one’s disability” and other supposedly positive terms to describe people with disabilities. Such sentiments are usually expressed by the non-disabled. Do people with disabilities really regard themselves as courageous, inspiring, or examples for others to emulate? Is it possible that many of them reject such labels and perceptions as patronising? Most persons with disabilities see themselves as ordinary people leading ordinary lives. They do not feel they are “suffering from” their disabilities; these are simply a natural part of them, much like their ethnicity, blood type and eye colour. Nor do they think they are doing anything out of the norm. Contrary to popular belief, a blind person or wheelchair user does not live his life “bravely”; a deaf person – like me – does not “overcome” communication barriers even if he does well at work; an academically successful student with autism is not more deserving of being hailed as a role model than a non-disabled student who does equally well. Such accolades, though well-intended, reinforce the idea that persons with disabilities are overachievers who defy great odds to succeed in life. This is certainly a heartwarming notion, but it also paints a misleading view of the situation. The disabled community, as a whole, is held back by mainstream society because of physical, institutional and attitudinal barriers around them. What persons with disabilities want, and need, is not to be discriminated against because of their disabilities, but to have equal rights and fair treatment in all aspects of life. These, and a realistic picture of the community, would help more to improve their lives. Two ST writers have responded here and here. THE Disabled People’s Association supports Mr Alfred Yeo Chi Jin’s appeal in his letter (“Reach out to deaf community with English subtitles”; Wednesday). To meet the needs of the local deaf community, and because hearing loss is a common issue faced by the elderly – a fact especially pertinent in view of our ageing population – media providers should take the initiative to implement Mr Yeo’s suggestion on having English subtitles for TV programmes and movies. Recent drama series and certain variety shows on MediaCorp’s Channel 8 have led the way by having dual English-Chinese subtitles. Another option would be to use the closed captioning facility, which allows the viewer to select the caption language or to switch it off entirely. Closed captioning also enables the profoundly deaf to understand better what they are watching as it includes text descriptions of sounds such as “car engine splutters” and “jazzy music plays”. The use of closed captioning has been around for decades and is common in countries like Australia, Britain and the United States where such access is mandated by law. As Singapore takes pride in keeping ahead of the technology curve and is also well on its way to an all-digital media environment, it should be more than feasible to roll out such services for TV programmes within a reasonable timeframe. Similarly, videos uploaded online by government ministries, local organisations, educational institutions and companies should include subtitles, or, failing that, transcripts. Accessibility of online media for the blind is another area which requires more awareness and work. 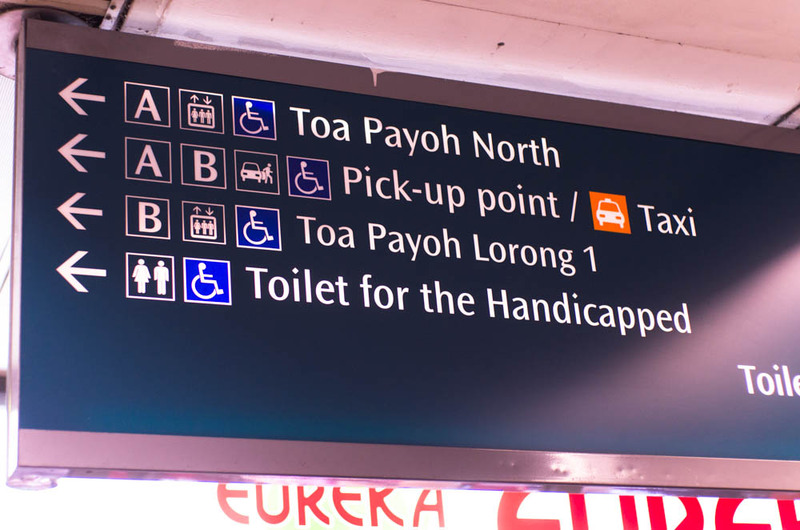 Singapore has come a long way in improving accessibility for its citizens and residents with disabilities. But while we have done well in providing facilities which are more tangible and come easily to public consciousness, such as ramps and lifts for wheelchair users, we need to keep in mind, too, the less visible needs of the deaf and the blind communities in accessing information via broadcast and online media. Read the replies from Starhub, MediaCorp and Media Development Authority. There goes the bell – we’re into round 4. We’ve been seeing much more sunshine and positivity from the mainstream media. There seems to be less bounding and suffering and handicapping going on these days. Either that, or we’re missing a lot of them. Anyway, the day when this column – by round 12 perhaps? – is no longer needed will be a happy day. I’m looking forward to it. Elderly and wheelchair-­bound residents took the spotlight in Yuhua. Elderly residents and wheelchair users took the spotlight in Yuhua. This error has appeared in examples in every column so far, and has been explained too. Un-bound the wheelchair users, shall we? Mr Izad said while the school has students who suffer from only autism and are in the high-functioning Boost class, it also takes in those with profound disabilities, some of whom require wheelchair support and even feeding tubes. Mr Izad said while the school has students who have only autism and are in the high-functioning Boost class, it also takes in those with profound disabilities, some of whom require wheelchair support and even feeding tubes. This has been covered in the previous column. But let me try another analogy: Saying that a person “suffers from autism” makes as much sense as saying Zoe Tay “suffers from being Chinese” or that Daniel Craig “suffers from having blue eyes”. Autism is not a disease or illness; it is a neurological condition inherent to the person. Guo Zheng Xin dies while Qiliang is wheel­chair bound. 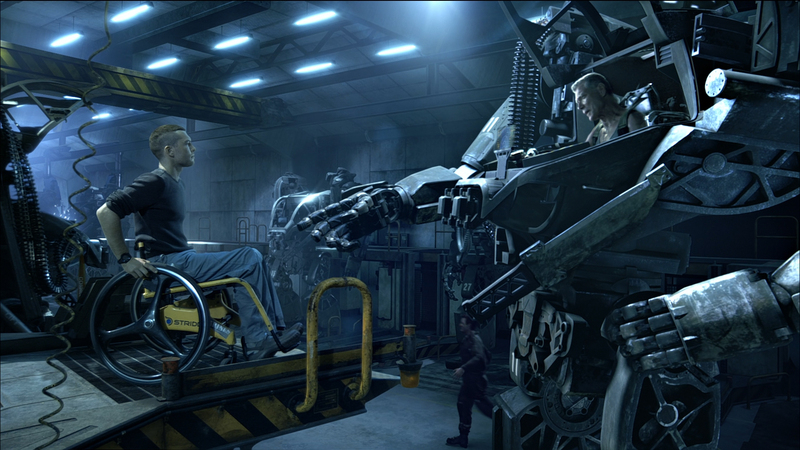 Guo Zheng Xin dies while Qiliang is injured and becomes a wheel­chair user. Also covered before. Don’t use ‘handicapped’ to describe people with physical disabilities. Say “people with disabilities” or “disabled people” (depending on context). By the way, if you’re here for the first time, have a look at more gory examples at Part 1 here, Part 2 here and Part 3 here. For this edition, I’ll like to plead: Please spare us the suffering. What do I mean? Read on and find out. One beneficiary, 14-year-old Alina Seow, who suffers from cerebral palsy, says that these horse-riding sessions have “greatly improved” her posture and balance. Let me quote from just three sources (and there’re a lot more!). As our very own SG Enable states, phrases such as “suffers from” and “afflicted by” carry negative connotations. In most cases, you can simply say that a person “has” a certain disability. The UK’s Office for Disability Issues explains: Avoid phrases like ‘suffers from’ which evoke discomfort or pity and suggest constant pain and a sense of hopelessness. (Yahoo! Singapore has, unfortunately, not replied to nor acknowledged DPA’s repeated emails on this. We are sure Yahoo! Singapore staff has read them, because they used an extract from our initial email here. As above. And persons with autism will not appreciate being told they are “suffering from” autism. Disability is a condition; it is not tragedy. The entire article, including the headline, is peppered by words and phrases such as autistic children and young adults, autistic people, autistic community, autistic son. The more appropriate terms are children and young adults with autism, people with autism, autism community, son who has autism. Compare and contrast with TODAY’s news report “NTUC Income launches insurance plan for children, young adults with autism” on the same issue which uses mostly people-first language. The winner of the National Youth Award last year also helps other handicapped people at the Society for the Physically Disabled. The winner of the National Youth Award last year also helps other people with disabilities at the Society for the Physically Disabled. “Handicapped” is an outdated and negative word. It’s also better to use people-first language which is more positive and does not imply the person’s disability is his/her identity. Other organisations have been more forthcoming and open to our requests. In particular, DPA wishes to also take the opportunity to convey our appreciation to the writer/agency for the ndp.org.sg site, SALT Online, the Workers’ Party (a special thanks to Ms Lee Li Lian), and Womentalktv – the former two for amending and omitting inappropriate words/phrases in their online articles, and the latter two for agreeing to include subtitles/transcripts in their online videos in future. Thank you very much! Lastly, the United Nations Convention for the Rights of People (CRPD) with Disabilities came into effect in Singapore on 18 August 2013. It calls for respect and equality for people with disabilities – and this extends to the way they are described in the media. In the spirit of the CRPD, join us in banishing negative stereotypes, labelling and, yes, ‘suffering’ of people with disabilities.